Lin Chang is a Professor of Medicine in the Division of Digestive Diseases and Department of Medicine at the David Geffen School of Medicine at UCLA. She is the Co-Director and Head of the Clinical Program at the Center for Neurovisceral Sciences & Women’s Health at UCLA, and Associate Director of the UCLA General Clinical Research Center (GCRC). Dr. Chang’s main area of research is the pathophysiology of irritable bowel syndrome (IBS) with particular interests in the overlap of IBS with fibromyalgia, gender differences, and neuroendocrine alterations. She is principal investigator on two NIH grants studying the central and peripheral mechanisms underlying IBS. In 2002, Dr. Chang received the Janssen Award in Gastroenterology for Basic or Clinical Research. She is a member of the American Gastroenterological Association, the American College of Gastroenterology, and the Society for Neuroscience. She is currently serving as a Councilor on the AGA Hormones and Receptors Section and has been recently selected as Clinical Councilor of the AGA Motility and Nerve-Gut Section. 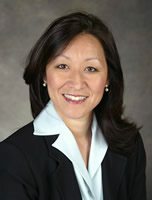 Dr. Chang is also a member of the Rome Foundation Board of Directors and Co-chair of the Rome III subcommittee on Gender, Age and Cultural Influences on Functional Bowel Disorders and Co-Chair of Rome III working group for severity of Functional Gastrointestinal Disorders. She has served as a Council member and is currently Secretary/Treasurer for the Functional Brain Gut Research group (FBG). She is currently serving on the FDA GI Advisory Committee. Dr. Chang has multiple publications in peer-reviewed journals and textbooks. She has given numerous lectures at national and local meetings.